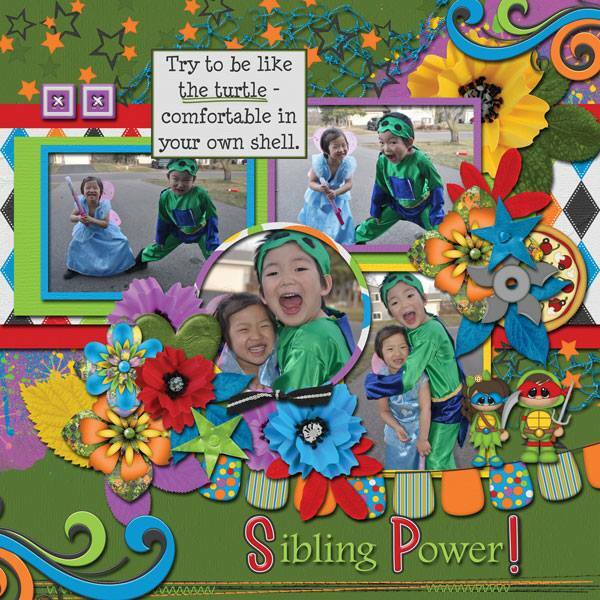 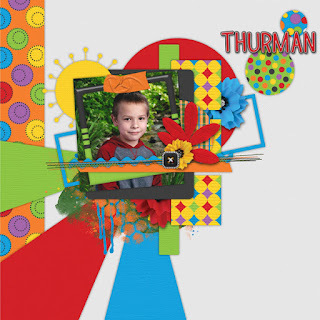 My Team created tons of awesome layouts with this kit! 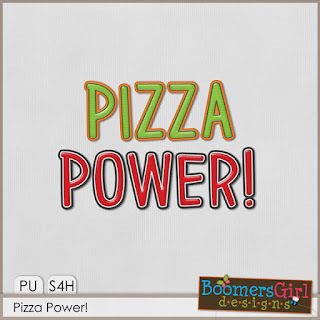 Behold the power of pizza! 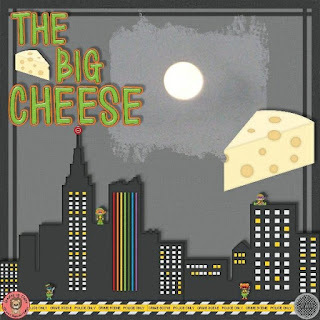 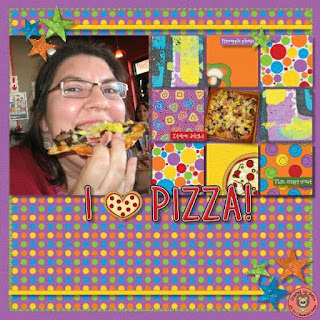 Who can resist the cheesy, gooey goodness? 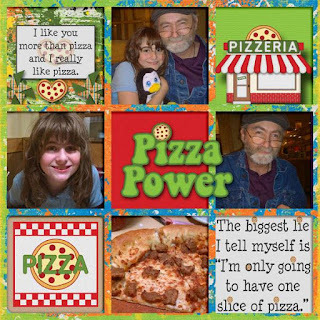 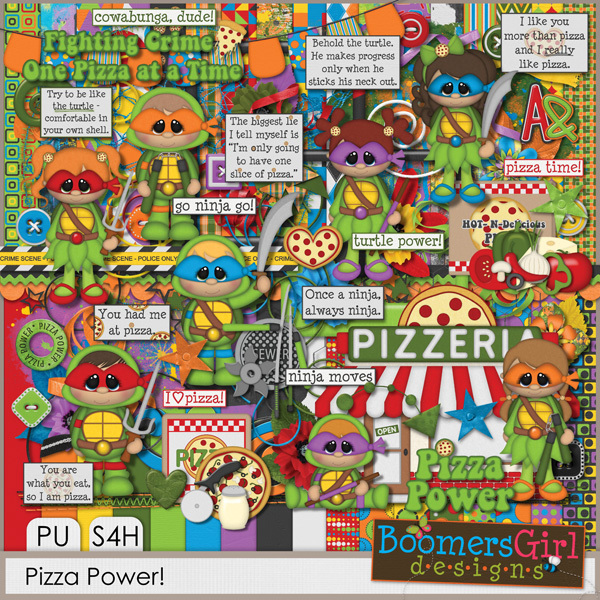 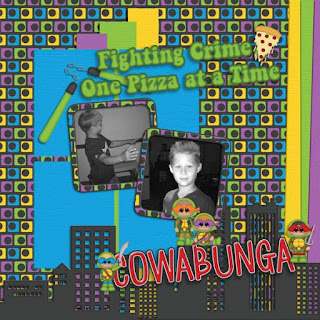 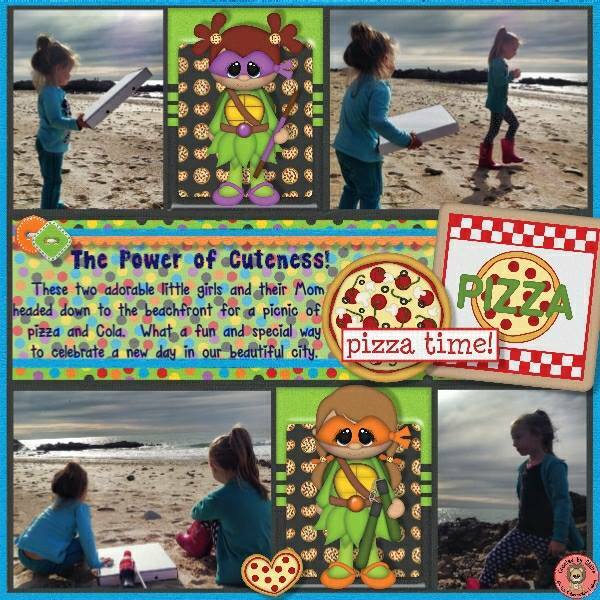 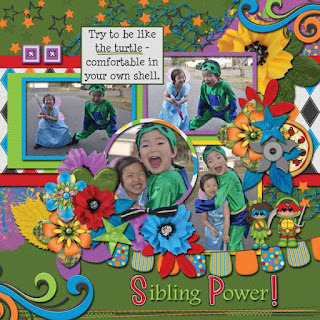 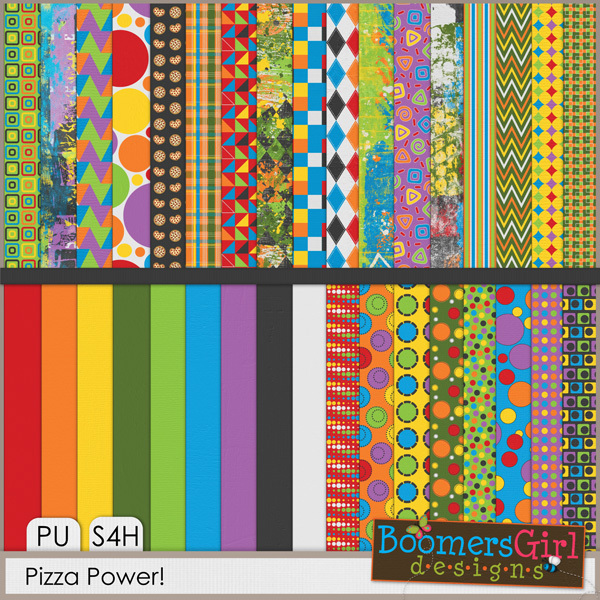 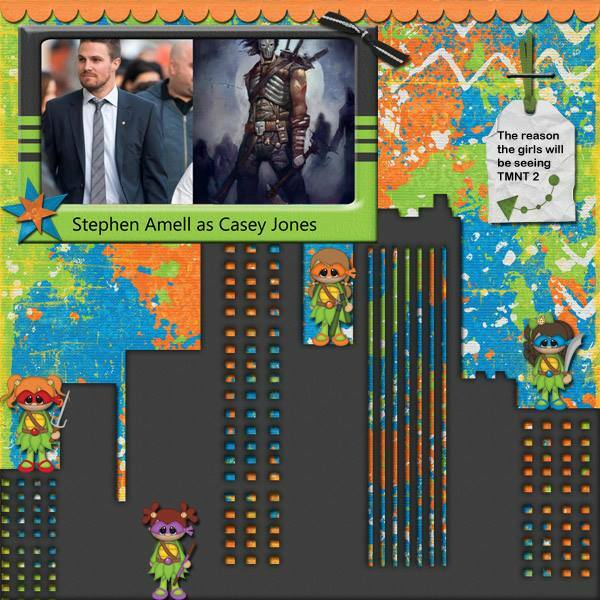 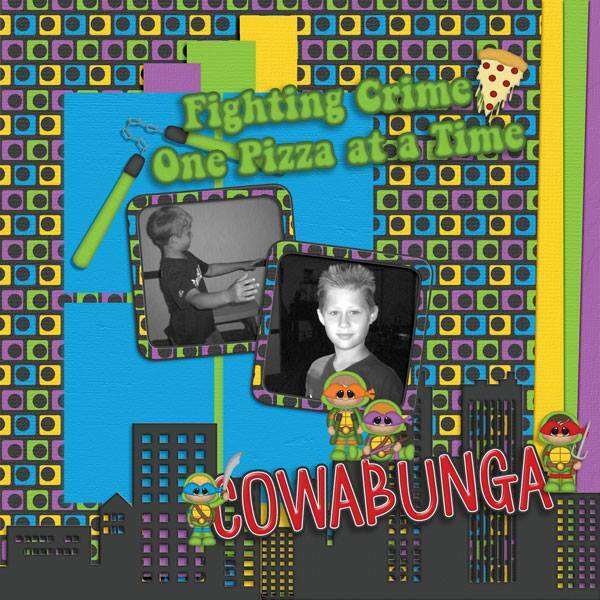 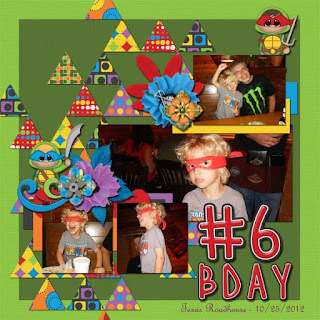 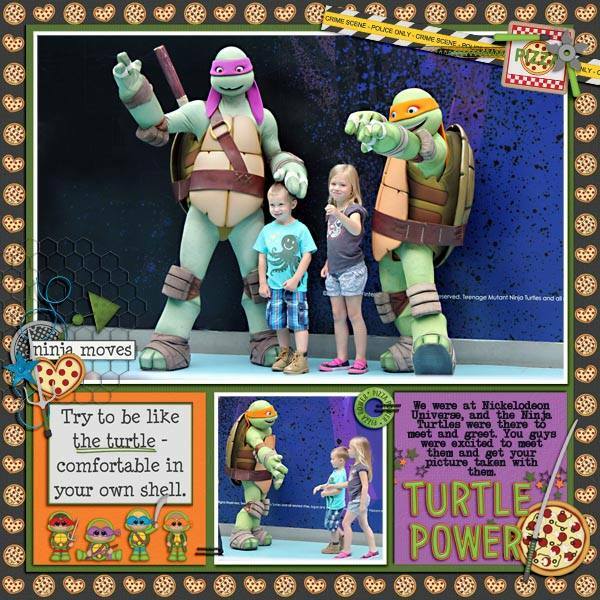 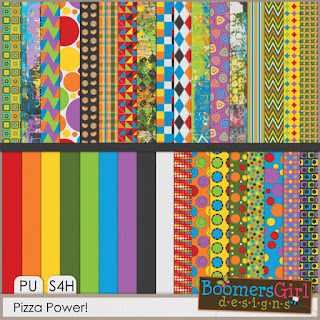 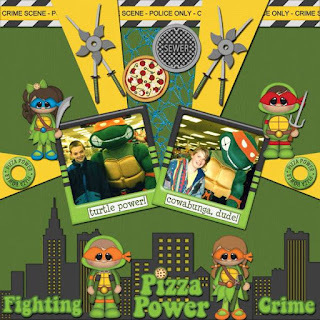 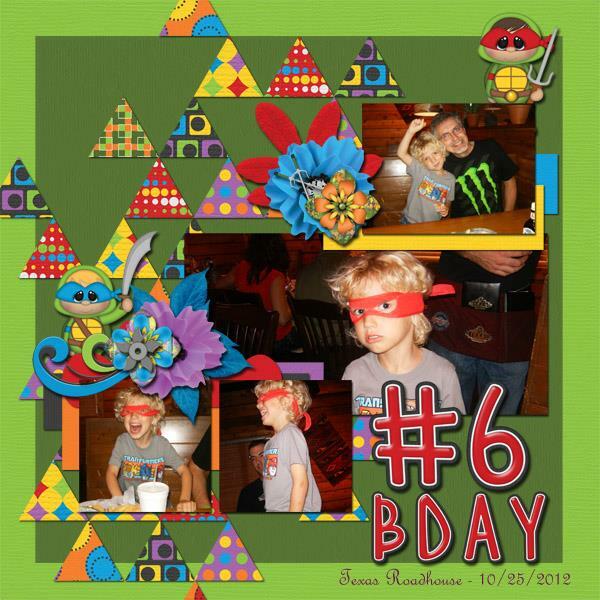 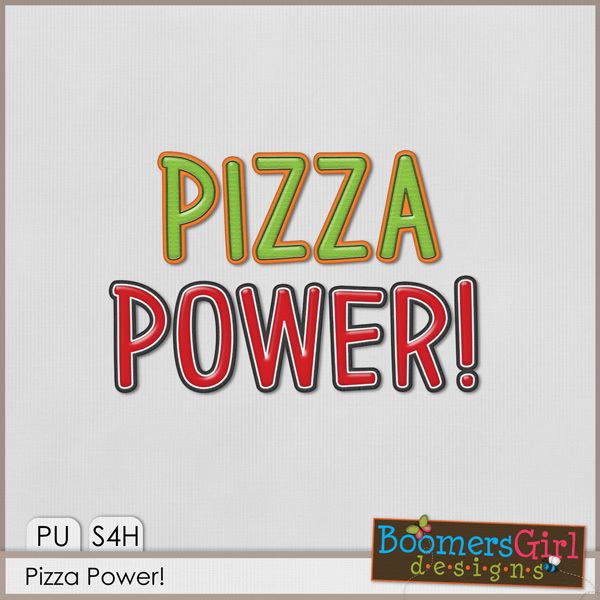 This versatile kit includes everything you need to celebrate your love for this amazing food - yummy pizzas, a variety of pizza toppings, other pizza elements and adorable kids dressed in their favorite crime-fighting, pizza loving turtle costumes.